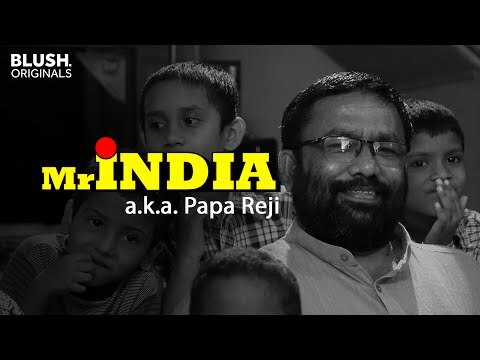 Papa Reji takes care of over 24 children affected and infected by HIV and aids who have been abandoned by their own. 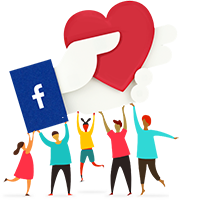 BLESS FOUNDATION (Be Light for Evangelism and Social Service) , is a registered NGO working for the rehabilitation of HIV/AIDS infected and affected children in the cities of Mumbai and Navi Mumbai. It is a fellowship of like-minded people including Pr. Reji Thomas, Pr. Samkutty Mathew, Pr. Sunil Akkarath, Pr. Philip M Thomas and Prakash P Koshy. There are thousands of harrowing stories from slums of Mumbai where children are thrown out to open streets after their death of their HIV infected parents. Sometimes, their lives end up in special wards of government run hospitals. In some cases, children are deprived of food and medication and are left to die in inhuman conditions. One of the most heart-breaking and also striking social consequences of the AIDS epidemic is the number of orphans. The trustee members of BLESS FOUNDATION witnessed the stigma and untouchability a HIV patient suffers in the society and they decided to do something meaningful to alleviate pain and disgrace of HIV victims especially the children. 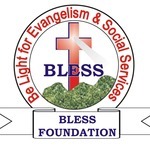 With the guidance of Jesus Christ, they started the charity and spiritual activities in the year 2009 by registering the NGO BLESS FOUNDATION . The trust has a rehabilitation centre which houses 22 HIV infected/affected children who are from very poor background. Feel free to ask Bless Foundation for a new update on this Fundraiser. He has a family of 26. More civilized and in a far less self-indulgent world, he built them their own little universe. HIV were just another three of the 26 alphabets. It did not define who they were. But they know about it. They know they have it. Papa Reji knows. He redefined the term ‘unconditional’ in love. He restored their childhood when none of their own wanted to. He taught them everything they know today, when they’re own refused to look after them. He is their knight in shining armor. He is their superman. ties and education with whatever little money he manages to make as a pastor and public funds. He aims to be able to take care of more children above the age of 18. The oldest right now is 16 and he has been with papa Reji since the age of 4. This campaign in collaboration with the Blush Channel is an attempt to raise funds for this hero. Your message will be directly emailed to Bless Foundation and you will receive his/her response on the email address entered below.